This was the grand finale for Mystic Meals Under the Moon’s Full Harvest Moon 4-Course Dinner. 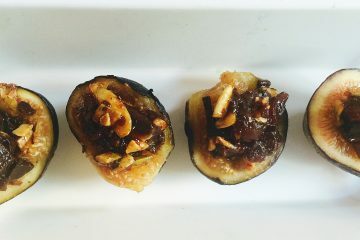 The richness of the chocolate and pumpkin seeds were perfectly balanced by the petite size and lightness of fresh figs. 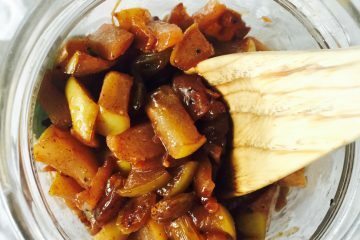 Paired with a cinnamon or other fall-spiced hot tea and you have the perfect early fall dessert or snack when figs are in season. 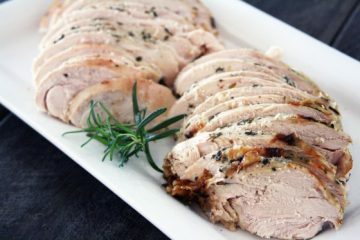 The simplicity of the ingredients coupled with the ease of preparation will have you making this uber moist and flavorful roasted turkey breast other than just fall and winter holiday get togethers. This was a surprise hit, considering my family does not prefer salmon. My oldest declared that “this doesn’t even taste like salmon” as she went back for seconds. 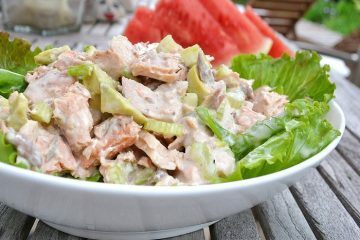 It is truly a keep-the-heat-out-of-the-kitchen recipe as the salmon is grilled and tossed with fresh, crisp ingredients. Cool watermelon slices and a loaf of good quality bread round out a new way to eat salmon in the summer. By March I am ready for lighter eating and for me this translates to a detox that is heavy on plant-based whole foods. My protein loving body still needs that satiation which has me reaching for nuts mid-afternoon. 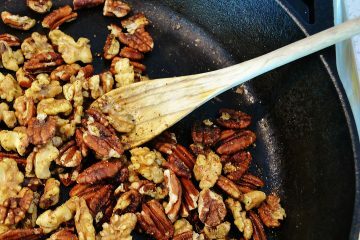 It was an early March nut craving when raw almonds just did’t sound so appealing that led me to whip up these addictive, peppery dry roasted nuts. You’ll want to portion control these as you could practically eat the whole batch in one sitting! My teen and I like to occasionally take in The Barefoot Contessa, as Ina Garten inspires us to be joyful cooks. 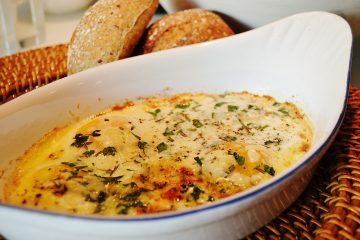 This simple French egg dish modified from one of her TV episodes was prepared by my daughter one rainy spring evening. This outstanding, yet simple, meal inspired us to elevate a weekday meal by adding some ambient music, tapered candles, and a beautiful table setting. J’oie la Vie! 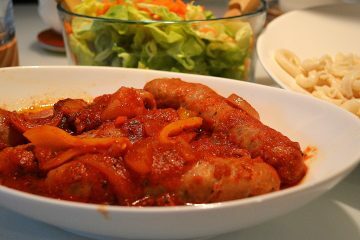 This is one of the most satisfying and easy slow cooker recipes with a ton of versatility. A few simple ingredients yield a lot of flavor; pair this classic Italian recipe with your favorite pasta or ladle it into a hoagie roll. A simple salad is all you need to complete this meal. 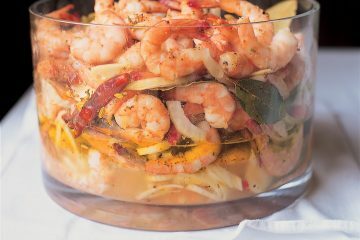 This easy yet elegant shrimp appetizer is a regular addition to my summer BBQ and potluck gatherings (perfect for Memorial Day, July 4th and Labor Day). I originally made it at my Easter festivities. 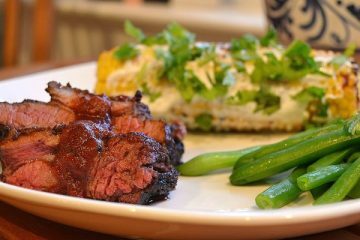 It was a huge hit and a welcome change from steamed shrimp and cocktail sauce. 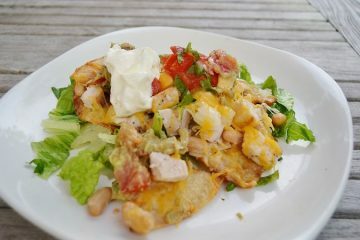 My friend, Pat A., inspired me to create this recipe after she served us a white bean nacho appetizer she cooked on the grill for our girl’s night. I was intrigued with the idea of grilling a plate of nachos and boy were they good! I have made it a little healthier with homemade tortilla chips and more substantial with the addition of rotisserie chicken and homemade guacamole. Eating it as a salad gets a green side on the plate and it’s fun to eat!